What an awesome summer it's been! More and bigger fish than ever before. Went out with my wife yesterday afternoon and tried a couple of spots that I haven't fished yet this summer. 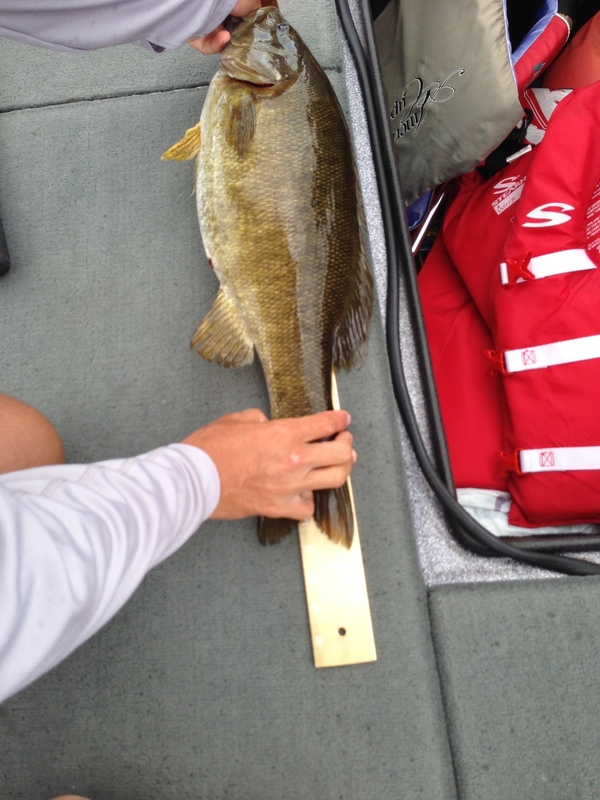 Ended up catching the biggest smallmouth to date from Lake George - a true slobasaurus - 22"...my guess is it was close to 5 or a little over 5 pounds. I caught three giants in a row and ended on this one. We leave for Michigan Friday morning.